Found myself in two planes last week with the same seat-pillow width but the arm rests where almost three times thicker in one, making me feel cramped. Up to now, I've never been bothered by the width of the seat since I am below average width and height compared to a North American. 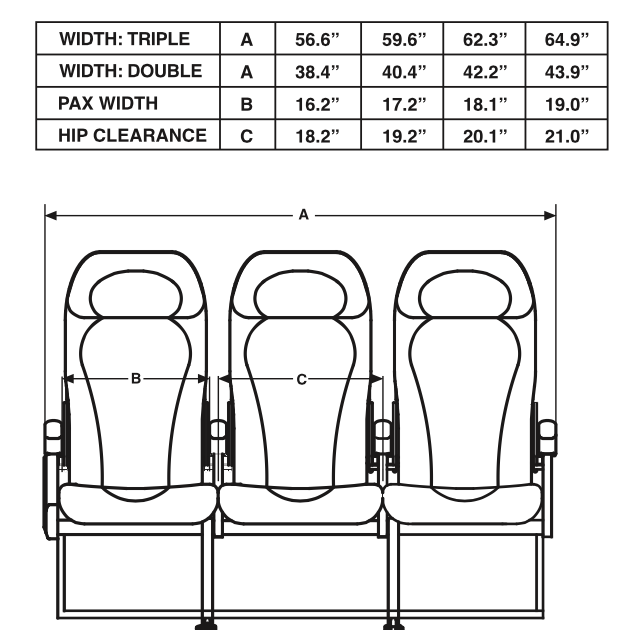 Should Seat Width be the size of the bottom cushion or the space between armrests? To put it simply, seat width is the distance between armrest and armrest. Seat width is reported as B. Not the answer you're looking for? Browse other questions tagged air-travel terminology seating or ask your own question.